5 Fine Coffee Bars In São Paul..
Organic Cafe Kape Bantay Is A .. Even if you hate shopping, if you’ve been to Paris I’ll bet your trip included a stop at the city’s iconic Galeries Lafayette. The original store dates back to 1894, and has become such an institution that there are now 65 different Galeries Lafayette stores in France and around the world. Because if you can’t go to Paris, at least you can shop like a Parisian. Even for those that hate purses and perfume (and you’re looking at one, which is why I avoid this store like the plague, although I am sure that the amount of perfume hanging in the air here would actually stave off the plague), you can cross the street and head to Lafayette Gourmet, the food-specific sister store to Galeries Lafayette. I will take chocolate over perfume any day. Here, across two floors and 3,500 square meters, some of the biggest names in French food sell their wares. There’s chocolate from Alain Ducasse, macarons from Jean-Paul Hévin, and tea from Mariage Frères. You know what else there is? Specialty coffee. With a completely different look than other establishments in town, Café Cuillier caters to a very different market than the average Paris specialty cafe, and in their short history already have some things to boast about. Barista Thomas Clément recently took home the title of French AeroPress Champion 2015, and Steeven Mickaël Herry is the French Coffee in Good Spirits champion, a competition that revolves around delicious coffee and alcohol drinks. Herry will represent Cuillier at the World Championships in Gothenburg later this year. The idea is that focusing on these brew methods allows drinkers to dive deeper into the coffees and discover all the different flavors and tasting notes. “Who better than the French appreciate the different flavors of wine?” says Manitto. “We want to take the French concept of ‘terroir’ and help our customers to discover coffee under a new perspective, and we believe the ‘méthodes douces‘ are a good path to this discovery journey.” It’s not the first time someone has made a comparison to wine in this town, with Café Lomi’s Bordeaux and Burgundy blends representing a very literal engagement with the concept. While Café Cuillier was once a roaster, today the cafe is serving Belleville beans, as well as sourcing pastries from Liberté, the pastry venture from pastry chef Benoît Castel, who made his name as the head pastry chef at La Grande Epicerie de Paris before opening up his own place. They have obviously gone for a touch that is very much French and it shows: there are madeleines and financiers, as well as Moët in the fridge, with nary a slice of carrot cake in sight. The question is: will this very French approach to specialty coffee work? There’s a lot of talk within the coffee community in Paris of whether or not specialty coffee is here to stay, or whether it’s just tendance, French for “trendy”. “The French have some of the highest coffee consumption per capita in Europe but still drink a large volume of bitter, over-extracted coffee,” says Manitto; a common complaint about the French scene. But, “The perceptions are slowly changing,” he adds. There’s certainly a movement afoot. The day I visited Lafayette Gourmet, there was an entire Bodum display being put up in the front window featuring French presses and the Bodum pour-over brewer. Coffee, and specialty coffee in particular, is certainly in the French media enough that people are paying attention. Even coffee giant Cafés Richard now features plenty of manual brew methods in its boutique window displays. And what’s unique about Café Cuillier is that it’s able to reach a much different market than a lot of the other specialty cafes in town. While many of the other specialty coffee hubs are attractive to “coffee tourists,” willing to travel anywhere, Café Cuillier is in a location where people just want to sit down for a coffee to take a break from their afternoon downtown. 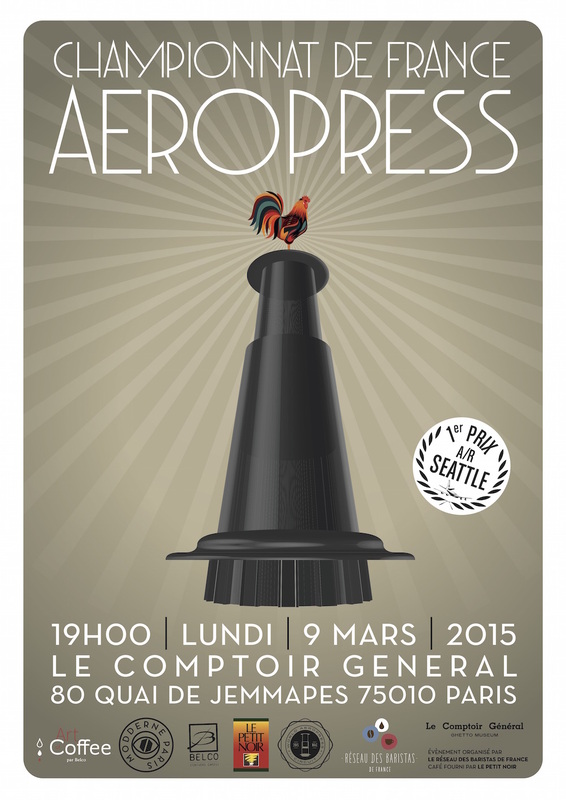 Since Clément was recently crowned AeroPress champion, I asked him if he made a lot of AeroPress at the cafe. He pointed out that while AeroPress is sought out at other top cafes around town, “here they come for espresso.” The point being that this is the kind of market that’s ripe for change, for a cafe to shake things up a bit, give this part of town something more, while still staying French. Manitto thinks that ultimately the French know what’s good and what’s not, and the more they experience quality coffee, the higher the chances are that they’ll become converts. He put it to me like this: “In the end, French people have highly sophisticated palates in food and drink so I am confident the market will eventually change. We are doing our best one cup at a time!”. Anna Brones is a Sprudge.com desk writer based in Paris, the founder of Foodie Underground, and the co-author of Fika: the Art of the Swedish Coffee Break. Read more Anna Brones on Sprudge.